Publicly funded financial incentives for Ontario surgeons are likely a key factor in the surge of colon cancer surgeries performed using laparoscopic techniques, according to a new study from McMaster University. The rate of laparoscopic colon cancer surgeries performed each year jumped from nine per cent in 2001 to 39 per cent in 2009— a 30 percentage point increase according to the study, which was published online this month by the Annals of Surgical Oncology. A significant part of the increase occurred shortly after Oct. 1, 2005, when the province's physician billing system introduced a 25 per cent bonus to doctors who perform colon cancer surgery using laparoscopic rather than the traditional open techniques. 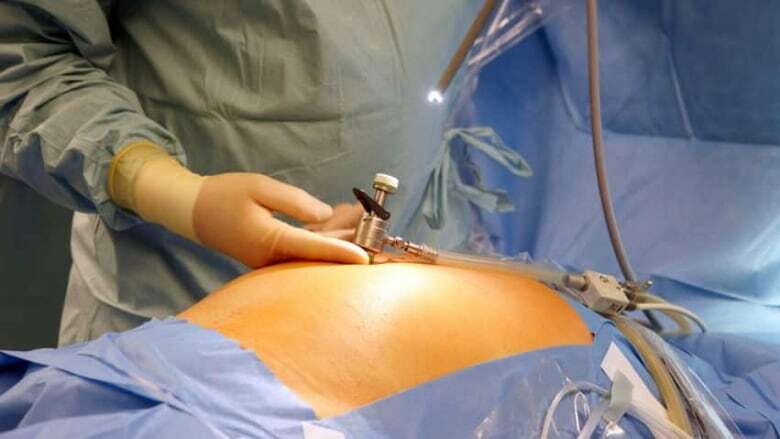 "We do think that the fee incentives were a key factor driving things up in 2005 and might also be playing a role in maintaining a higher rate of laparoscopic surgery," Dr. Marko Simunovic, lead author of the study and an associate professor of surgery at McMaster University, told CBC Hamilton. Commonly known as a keyhole surgery, a laparoscopic procedure involves a relatively new surgical technique that uses several small incisions in the abdomen as opposed to larger openings with the traditional open techniques. The study also finds that, despite a heftier price tag — $500 to $1000 more — laparoscopic procedures offer no major improvements in colon cancer patients. The length of hospital stay time is shorter and the scars are on average five inches smaller, but there is no obvious change in mortality rate and overall survival rate. "A 25% bonus for laparoscopic surgery sends a strong signal to surgeons that they should provide this service, even though the available evidence to date does not demonstrate superiority for laparoscopic versus open techniques," he said. Ontario Medical Association, which advices surgeons on billing the province's health care system, said the incentives are meant to compensate for the increased time it takes to perform laparoscopic procedures, not as a way of increasing the use of such techniques. The association is currently reviewing the study and "welcomes a chance to review incentives related to patient care" as more evidence becomes available, said OMA president Dr. Scott Wooder in an email statement to CBC Hamilton. OMA and its doctors have been working with the government to review financial incentives on a "procedure by procedure basis" to determine the appropriate premium, wooder said. The 25 per cent bonus for laparoscopic colon cancer surgery, Simunovic suggested, was originally introduced to improve quality of care. For Ontario, however, physicians are already offering "excellent care" and financial incentives aren't the best solution to make it better. "Is it really a good idea that you give physicians financial bonuses to do work that they really should be doing as part of their care?" he asked. Simunovic added that the study calls for more discussions around the use of financial incentives in the medical field, as Ontario offers a range of bonuses for surgeons. Cancer patients' utmost concern, Simunovic said, is survival, regardless of whether the operation is done using the open or laparoscopicly techniques. "If I was an Ontario patient, I'll be thinking about my role as a taxpayer and is this a good use of taxpayer funding to use financial incentives to encourage a more expensive form of surgery," he said. The study was co-authored by Simunovic's colleagues at McMaster University and was funded by the Canadian Institutes for Health Research.